Podcasts aren’t just another way to get content out. They’re a powerful tool that’s growing in popularity amongst media outlets and marketing professionals alike. It gives you the ability to build a trusted relationship and get highly engaged listeners, all for the price of an entry-level microphone and some editing software. Australian law firms have been slow to jump on the podcast trend, but here are four compelling reasons why it’s a good marketing tool for you. Podcasts are big business. Their popularity has surged in recent years, with listener numbers growing 23% in just one year between 2015 and 2016. Podcasts have become cheaper and easier to produce thanks to advances in technology. The ABC boasted 6.2million podcast downloads in April 2014 alone, and non-radio podcast downloads can easily exceed 100,000 downloads per episode. Podcast listeners have embraced the medium with gusto: an ABC Insight survey in August 2016 found that podcast audiences listen to 5.5 podcasts per week, with one in five listening to 11 per week. And 90% of those will listen all the way through a podcast. That’s a lot of people engaging with your content. And best of all, the market is still expanding, with demand growing faster than supply. Legal podcasts are becoming popular in the States, but there is a dearth of Australian firms jumping on board. 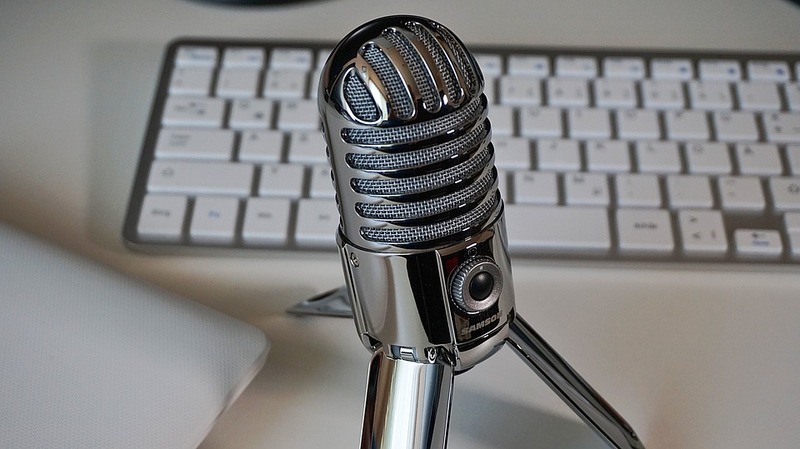 Law firms are ideally placed to run podcasts, for a number of reasons. One is that the audience is already there: 60% of listeners choose News, Current Affairs and Politics podcasts to listen to. A podcast is a relatively immediate medium and an ideal way for people to stay up to date as well as getting a more in depth analysis than they’d obtain from the nightly news. Legal developments and interesting cases fall squarely within this demographic. There is also, of course, an eager audience for legal content already. Legal dramas are an enduringly popular genre of TV show in Australia. The non-fiction podcast Serial, which re-investigated a 1999 murder case, was a runaway hit in 2014 and resulted in the overturning of the original murder conviction. Legal content, well told, has the power to compel an audience. There is an intimacy to listening to a podcast that one doesn’t get from written content. That added personal touch that comes from listening to someone’s voice builds a connection between podcaster and listener, which is why it’s a great marketing tool for building trust. Legal advisers are selling their trust and authority along with their time. Your clients want to know that they’re in safe, knowledgeable hands. A podcast underlines those traits even before you’ve had your first meeting. Creating a podcast is also great professional development for you. It motivates you to stay on top of recent developments in the law, since your listeners will be tuning in to hear the latest and greatest. It will teach you a new skill. And because you’ll be communicating directly with an audience, it will give you practice in distilling legal jargon into plain, accessible English. That’s a skill you can take back to your desk. Podcasting is a fun and inexpensive way to get your content out there and build a relationship with listeners. Why not pop on a podcast to get yourself in the mood, and then get started! ← What’s your personal brand?